Greater New Haven has long boasted an abundance of gifted artists, but too few of them have received the financial support to help them soar. The Bitsie Clark Fund for Artists (The Bitsie Fund) seeks to change this. The Bitsie Fund will nourish Greater New Haven’s rich arts community by inspiring and supporting innovative partnerships between artists and non-profit organizations. Together they will realize a creative idea, support a community project, or enhance artistic and/or professional goals in meaningful ways. Bitsie, who stands four foot eleven, has been described as seeming to be six foot six. Others simply say she is larger than life. What is clear to all who know her is Bitsie Clark is a powerhouse. Bitsie has been a giant in this region, especially during her two decades as the Executive Director of the Arts Council of Greater New Haven. She was central to the launch of the Audubon Arts District and helped established the arts as a driving economic force in Greater New Haven. Many of Bitsie’s most meaningful actions at the Arts Council, however, stemmed from her everyday interactions with the constant stream of people who sought her advice. As she nurtured individual artists and gave counsel to non-profit organizations, she often inspired them to forge creative partnerships. The Bitsie Fund will look to do the same. The Bitsie Fund was established by five women mentored by Bitsie who proudly identify themselves as the Bitsie Chicks. They are working in collaboration with The Community Foundation for Greater New Haven, which will manage the Fund. 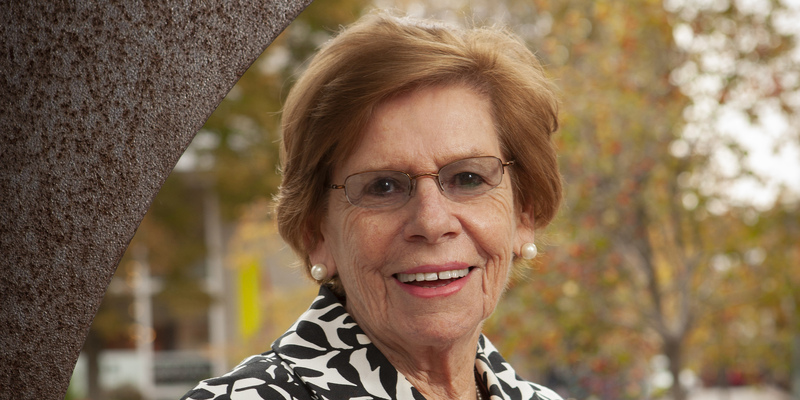 The Bitsie Fund is being supported by contributions from individuals who have worked with Bitsie in building our dynamic cultural community, who benefited from those efforts, or simply appreciate how she has helped give vibrant life to our region. Please consider contributing. Thank you! 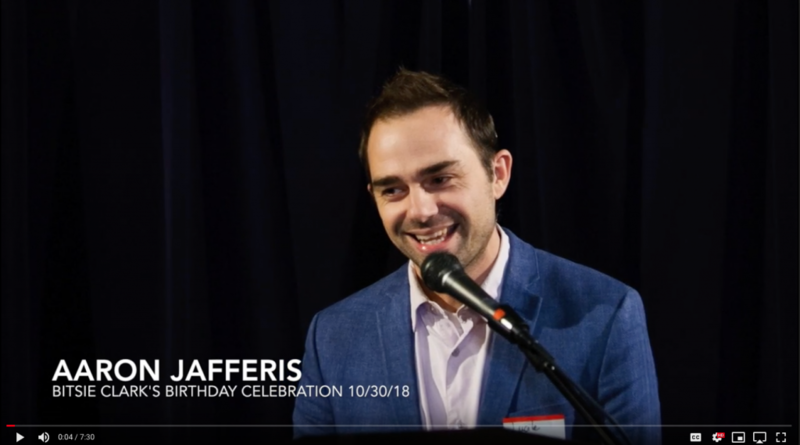 The Bitsie Fund was formally launched on October 30, 2018 at a reception celebrating Bitsie’s 87th birthday. Inspirational speakers included US Representative Rosa DeLauro and Will Ginsberg, Director of The Community Foundation for Greater New Haven. Videos of two electrifying performances are linked below. The first features Hip Hop Poet Aaron Jafferis; the second, Bitsie Clark herself. Front row: Bitsie Clark, center, is flanked by awardees Barbara Harder, left, and Creative Arts Workshop Executive Director, Ann Coates. Second row: The Bitsie Chicks. 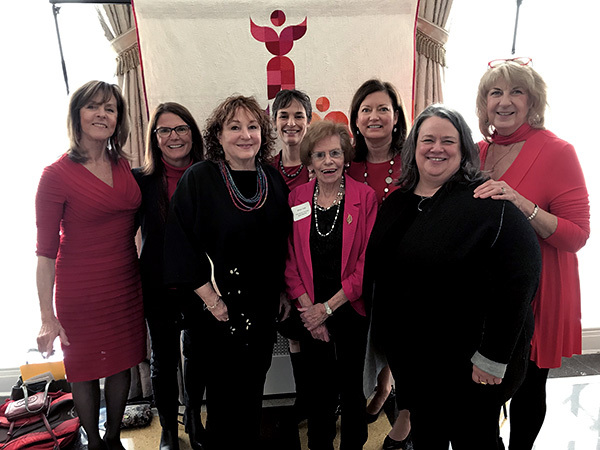 From left: Mimsie Coleman, Betty Monz, Robin Golden, Maryann Ott, Barbara Lamb. The Bitsie Fund was pleased to present its first award at the Arts Council of Greater New Haven’s Arts Awards luncheon in December 2018 to the distinguished artist/printmaker and teacher, Barbara Harder, and to her collaborative partner, Creative Arts Workshop. Barbara, a multi-award-winning artist, received her Bachelors’ Degree in Studio Art from Marymount College in 1970. 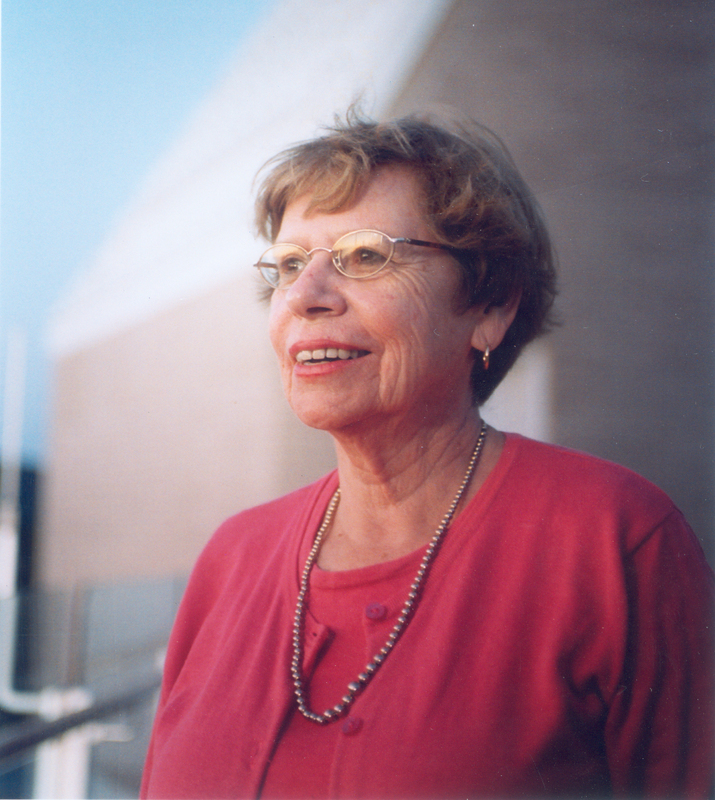 She has taught at Creative Arts Workshop since 1976, heading its Printmaking Department since 1995, and has taught at Quinnipiac University since 1998. She has been a lecturer/teacher at the Yale University Art Gallery and the Yale Center for British Art, and a visiting artist at Connecticut College and the Center for Contemporary Printmaking in Norwalk. Barbara has long been committed to supporting other artists. 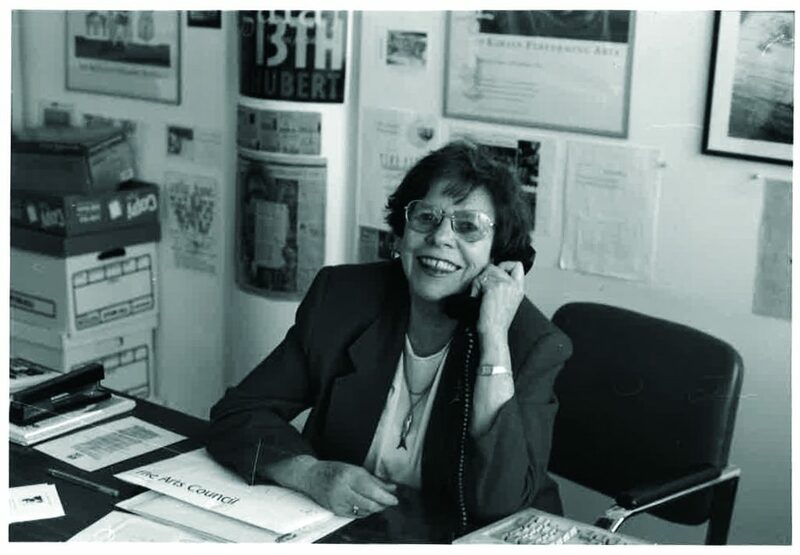 She has curated numerous exhibitions throughout Connecticut; was one of the founders of the Connecticut Union of Visual Artists in the late 1970s and had a central role in launching and running the original Artspace Gallery on Audubon Street. Barbara’s work has been widely exhibited throughout Connecticut and New England as well as internationally, in Scotland, England, Australia, India and Japan. Barbara will later share the special qualities of Japanese Washi with artists and craftspeople from around Connecticut at CAW workshops. Creative Arts Workshop (CAW) is a nonprofit regional center for the visual arts that has served the Greater New Haven area since 1961. As an anchor institution located in the heart of the award-winning Audubon Arts District, CAW offers a wide range of visual arts classes, with an active exhibition and public programming schedule. More than 1,700 people enroll annually in more than 350 courses. Thousands of visitors enjoy the free exhibitions. Please join us in honoring Bitsie as she continues to enrich Greater New Haven through its artists. 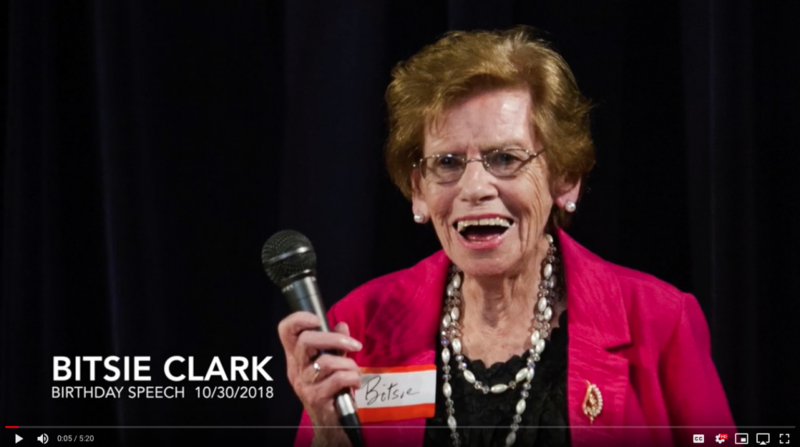 The Bitsie Clark Fund for Artists will empower individuals from all art disciplines (visual, performing, literary and film). Each individual will work in tandem with a non‑profit organization that will provide institutional support. Together, they will pursue a meaningful arts or cultural project. Bitsie has shared two examples of project ideas, drawn from her Arts Council days, that she considers grant-worthy. A theater student, working at a juvenile detention center, produced a literary magazine featuring pieces written by the incarcerated youth. It was printed in the Arts Council’s monthly Arts publication. A photographer, in collaboration with a non-profit organization devoted to homelessness, wanted to provide cameras and training in photography for select homeless individuals. The project was never undertaken due to lack of funding. Grants could also support such simple alliances as an artist creating a work of art later exhibited or produced by a cultural non-profit. Would you like to receive emails from us regarding the fund and grant opportunities?